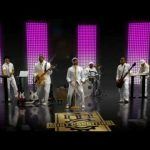 Mint Condition Announce Winning Submittal for "Unsung" Video Contest! 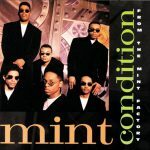 Mint Condition recently had a video contest for their emotional balled, “Unsung” from their CD, 7. Partnering with GiveMN, a Minnesota nonprofit that enables individuals to donate to thousands of nonprofits online at http://www.givemn.org., Mint Condition spearheaded a contest for individuals to create a video in honor of their unsung hero be it a mother, father, friend or mentor using their emotional ballad, “Unsung” written by Mint Condition keyboardist, Lawrence Waddell in honor of his unsung hero, his mother. 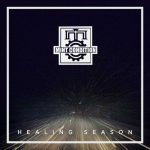 I had the recent pleasure of talking with Mint Conditon before their Atlanta show last month and I greatly admired their passion in celebrating the troops. It was also interesting to see them talk of their own life changing connection with this worthy cause. Above is the winning video by Sarah Jacobs which features a very personal tribute to our troops who sacrifice so much for our country.